Only one piece of this. 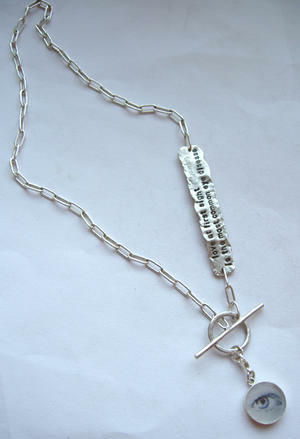 Sterling silver 925, neckless with toggle lock, silverheart and a text tag "love at first sight is the most common eye disease" (quoted Gino Cervi, italian actor, 1901-1974). Unique - only 1 piece of this. 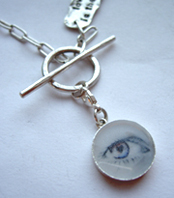 Comes with a removable eyecharm.